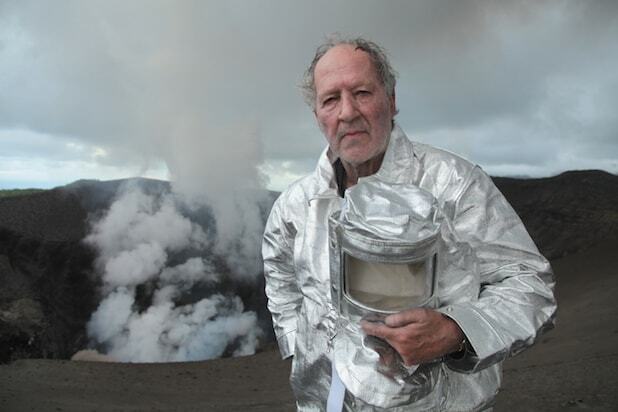 At the age of 74, Werner Herzog is not slowing down. The German director came to the Toronto International Film Festival with two different movies: the documentary “Into the Inferno,” which explores volcanoes and the mythology that grows up around them, and “Salt and Fire,” a narrative film starring Michael Shannon and Gael Garcia Bernal and set on the salt flats of Bolivia. Note: It’s best to imagine his words being spoken in that magnificent Herzogian voice of his. You have two movies at Toronto, plus another that came out a couple of weeks before the festival. Are you working that constantly now? Yeah, and I also have an almost six-hour master class recorded. And I still have a big, epic film, “Queen of the Desert,” with Nicole Kidman, not released in the United States yet. In a way, the system of distribution is too slow to absorb my pace of production. It’s good that we have Netflix, because they press a button and in 190 countries you can have the film available. Why are you working so much, and so fast? It’s not fast. I work fairly relaxed and leisurely. In my days of shooting — and I am saying, in my entire life — I never went into a single hour of overtime, not once. In half a century of filmmaking. It comes easily to me. I write my commentaries while editing, and I immediately speak it into a microphone. And a screenplay, I see an entire film very quickly and it comes very fast. I write a screenplay in a week or maybe eight days, nine days. But it’s not that I’m hectic. I do my tax returns one or two hours during the day, I answer the phone, I go to the bank and pick up some cash. And in between I just write a screenplay. It doesn’t feel like real work. I see it so clearly that it’s fairly easy. Both of your new films have some ties to volcanoes, right? Yeah, well, there’s some sort of cross-pollination. We were shooting “Salt and Fire” on the biggest salt flats on this planet in Bolivia, and at the edge of the salt flat there’s a volcano which is becoming active, and it could be a large one. So there is not only salt, there is potentially the fire that is under our feet. You can often see echoes from one of your films to the next. I think it’s correct. It’s basically a coherent world view. There are certain echoes from a film I made 40 years ago to something that is coming out now. With “Into the Inferno,” all of a sudden we are reaching back to a film I made in 1976 about a volcano in the Caribbean that was about to explode [“La Soufriere”]. [Grins] I love to write and speak a line like that. The volcanic sites you visited in “Into the Inferno” seem clearly chosen not for whatever scientific findings were made there, but for the myths and stories that surround them. Yeah. It was quite clear, strangely enough, 10 years ago, when I did this film in Antarctica, “Encounters at the End of the World,” and I met [volcanologist] Clive Oppenheimer. He trained his own camera on me and we had a brief conversation. And in a nutshell, it is basically the concept that you are seeing on film today. I’m not interested in lowering down on a rope to the very boiling lava lake. I’m interested in the people: How is it to live under a volcano, and what sort of belief systems, what sort of demons, what sort of new gods does it create? Was it something new for Clive, to be asking people about myths rather than science? No, not at all, because that’s part of his crisis management. If a volcano is about to explode in Indonesia, he has to know about the mythology that people have created, he has to speak the right language to convince them to get out fast. And that’s the man who made the film with me. Serious science, which has to somehow has to connect and be on a wavelength with mythologies and fears and and glories of people who live there. And if you don’t have that, all your scientific expertise wouldn’t evacuate a single human being. Why did you want him as the main person on camera rather than yourself? I never saw myself as a presenter, and I wanted, of course, somebody who has the scientific expertise. I don’t want to be in the film myself. And yet at the same time, it’s your distinctive voice talking about retarded reptiles and vapid humans. You have a strong presence in the film. Yes, but it’s not because I want to expose myself as a person in the film. My voice, yes. I’m a storyteller, and I say things that you feel like electricity in your seat. That’s what real storytelling is all about. Unfortunately, commentary, voiceover is way too boring in most of the films that I see. In Ethiopia, there’s a lengthy sequence that’s about the discovery of early fossils. In North Korea, another long sequence about the revolution. Yes, but it is all related to volcanoes. In Ethiopia, these early humans, and much earlier hominids, were all attracted to the volcanoes because the volcano would extrude a glass material, obsidian, which is extremely brittle and sharp, and you can create tools. So when we find the remains of the human, it’s always clear, it’s because of the volcano right next to us. In North Korea, the focus of the collective propaganda is pointed at the volcano. That’s a sacred mountain for the Koreans, and in a way it was transformed into a sacred mountain of the revolution. So the volcano is only present in mosaics in the subway, behind the news announcer on television, and in the songs the kindergarten children will sing for you. It does seem that you have created a body of work where your viewers expect detours away from the stated subjects of your documentaries. They’re not random detours. It’s the joy of making the right detour, which still keeps connecting you to the volcanoes. That’s what I love about what we’re doing. I also think of “Cave of Forgotten Dreams,” where suddenly a film about cave paintings turns into a reverie about radioactive crocodiles. Yes, I love to take the audience, at the end of the film, hang onto their arms and take them into the realm of sheer poetry and illumination. Of course there is a loose connection about perception – how would a crocodile actually see if they crawled out of this biosphere only 20 miles from the cave, how would they perceive the images? And of course it’s a wild, beautiful thing, and every person in the audience, including you, remembers that. It’s moments of wild illumination and wild poetry. That’s what I like as a filmmaker – take you along with me into sheer poetry. Same, yes. I mean, it’s going wildly into perception. How do we see an image, for example, in a cloister in Rome? Looking along the corridor, you see a saint under a tree. But when you approach the saint, all of a sudden the image stretches out and becomes very strange and morphs into a landscape. The saint is not there anymore. It’s all landscape, and you see ships and you see the saint surfing across the Strait of Messina, to Sicily. So it’s phenomenal, just by changing your point of view, the entire picture changes. The saint morphs into a landscape. And then you are taken into a landscape that looks like from outer space, a landscape of imagination, the salt flats of Salar de Uyuni. It’s just phenomenal. I want to take you as an audience out there with me.